In honor of Veteran's Day, our Nov. 12th event will be focused on military transition into the civilian workforce in the field of Project/Program Management. Part 1: For Their Honor-Veterans in Transition-Project Management: For Their Honor’s mission is to enable and produce the most prepared and transitioned Veterans that will be successful both personally and professionally. Part 2: Panel Discussion: A guided and engaging session of the value that Veterans bring to not only the Program/Project Management domain but the civilian workforce over all. We will debunk misunderstandings, educate and raise awareness while enabling corporate leaders to tap into a tremendous resource. A 23-year retired U.S. Marine Corps Officer, Tim served from 1985 to 2009, starting at 2nd Battalion, Fox Company, Platoon 2079, MCRD Parris Island, SC, and served his final tour as the Marine Officer Instructor at Jacksonville University’s NROTC Program. Tim is a veteran of Operation Iraqi Freedom. He received his Bachelor of Science degree in Political Science from Jacksonville University, Jacksonville, FL and a Master of Science in Information Technology Management from the Naval Postgraduate School in Monterey, CA. 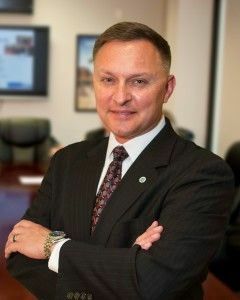 After retiring from the Marine Corps, Tim served in various positions such as a Senior IT Consultant at Booz Allen Hamilton in Huntsville, AL, CIO/CTO for IKCANROK Inc., VP-Global Program Manager-Global Technology for Deutsche Bank, and currently as a consulting Director, US Retail Operations for Acosta Sales & Marketing in Jacksonville, FL. With the founding of For Their Honor in 2014, Tim continues to serve his fellow veterans and transitioning Active Duty Military members and their families in their transition into their civilian lives and careers. Penelope L. “Penny” Justice is a well-known and accomplished Military Employment Advocate/Coach in the Florida Region. With a strong background in creating successful recruiting and placement platforms throughout the eastern United States, she was recommended to the Florida National Guard to create the Florida Guard Family Career Connection from 2011 to 2014. During this timeframe, as the State Program Coordinator, MS Justice reduced the unemployment level for returning/deployed Guardsmen, from 17.1% to 3.3%. Due to this accomplishment; Adjutant General Emmett R. Titshaw, Jr. awarded MS Justice with The Governor’s Florida Commendation Medal October 5, 2014 in a special ceremony. Governor Rick Scott stated on the award: “For her service as the Florida Guard Family Career Connection Program Manager which directly improved the readiness, resiliency and quality of life for Florida National Guard Members and their families since 2011. Under Mrs. Justice’s leadership, the FGFCC has increased the quality and quantity of employers committed to hiring Florida National Guard Members and their family members. Mrs. Justice’s dedication to duty has reflected enormous credit upon the Deputy Chief of Staff Personnel, the Florida National Guard and the State of Florida.” Penny Lead/Developed the Hero2Hired team of Case Managers throughout the Florida Region and within one year they had the MOST direct & indirect hires in the nation! She currently serves as the Department of Defense Military Employment Advocate/Coach for the Florida Employment Support Program. This program provides employment support, opportunities and career options to Commanders, Soldiers, Airmen and Families for all of the military branches. Toby Moss, PMP, MBA, reported to MCRD Parris Island 6 weeks after his 17th birthday in June 1987. He was assigned to Alpha Company, 1st Battalion, Platoon 1068. Toby served a total of 11 years with 7 years active duty and 4 years reserve duty. Toby is a veteran of Operation Desert Shield/Desert Storm and Operation Silver Wake. Upon honorable discharge in 1998, Toby was a Technical Consultant with MCI and later AT&T. Toby was later promoted to Project Manager, Program Manager and then Program Director with AT&T. Toby has worked as a Senior Program Manager and Engagement Manager for Landis + Gyr as well as ABB prior to accepting a position as Director of IT and now Chief Information Officer at Clay Electric Cooperative. Utilizing the Montgomery GI bill, and working full time, Toby completed his Bachelors Degree in Organizational Management at Oglethorpe University in Atlanta, GA. as well as his Master of Business Administration from Jacksonville University in Jacksonville, FL. Toby maintains his PMP certification (# 78966) which he achieved in 2003. Toby is one of the original members of the team that helped to launch For Their Honor. He continues to serve his fellow Veterans and transitioning Active Duty Military members and their families in their transition into their civilian lives and careers. Boatswain’s Mate Chief Petty Officer Retired Michael A. Mitchell is a native of Charleston, South Carolina, graduated from St. Andrews Parish High School, and enlisted in the U.S. Navy in September 1992, attending Recruit Training and Seaman Apprenticeship Training in Orlando, Florida. He retired from the U.S. Navy on September 30, 2013 after serving 21 honorable years. His duty assignments include: USS DWIGHT D. EISENHOWER (CVN-69) Norfolk, Virginia; USS GETTYSBURG (CG-64) Mayport, Florida, Naval Recruiting District Jacksonville, Jacksonville, Florida; USS SPRUANCE (DD-963); USS DEWERT (FFG-45); Afloat Training Group Mayport, and USS Carney (DDG-64) Mayport, Florida. During his tours, he deployed to the U.S. Central Command (CENTCOM) and U.S. Africa Command (AFRICOM) areas of responsibility in support of Operations Enduring Freedom and Active Endeavor, as well as counter-narcotics, counter-piracy, and mine countermeasure operations. Michael Mitchell received his Bachelor’s Degree in Business Management from Jacksonville University in 2015. He also received a certification in Sensitive Security Information and became a life member of the American Board for Certification in Homeland Security. He’s active in the Jacksonville community as Past Master of Son’s of Spencer Lodge#155; Rebecca Chapter#015 (OES); North Florida Consistory#1918 (32nd Degree); and NAJA Shrine Temple#1990 (Shriner). He is married to the former Samara Yolanda Jenine Taylor; a JU alumnus who is an active Surface Warfare U.S. Navy Lieutenant Commander, currently stationed at Littoral Combat Squadron Two in Mayport, FL as the Department Head in charge of the Manpower and Train to Qualify programs. Together they have three boys, D’Angelo (22), D’Marco (18) and Dallas (6). Michael is currently Jacksonville University’s Director of Military and Veterans Resource Center. He is the frontline staff member in recruiting and retaining active duty military and veteran students. He serves as an advisor and advocate for veteran students. His personal decorations include the Navy & Marine Corps Commendation Medal (three awards), Navy & Marine Corps Achievement Medal (six awards), Good Conduct Medal (five awards) and various unit and campaign awards.